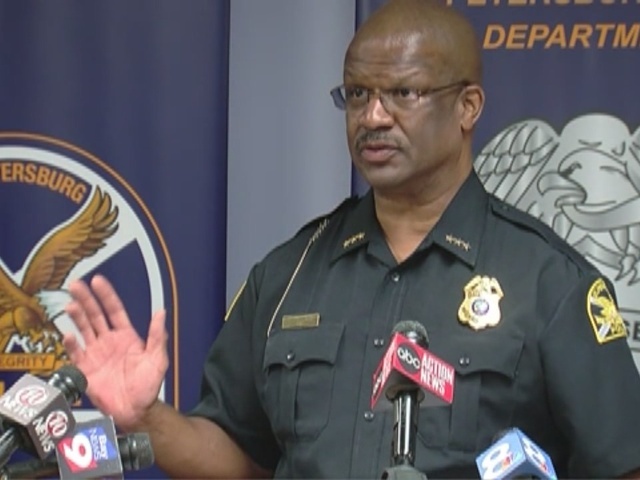 On Monday, June 27, St. Petersburg Police Department held a news conference to announce the indictment of Jacobee Flowers, 28, for the First Degree Murder of 17-year-old Morgan Martin in 2012. According to police, Flowers planned Morgan's murder and disposed of her body. On July 25, 2012, Morgan Martin disappeared shortly after midnight. At the time, Morgan was four months pregnant with a baby girl and picked out the name Ja'Leah Raquel in honor of her mother, family said. She told family members she was going outside to meet her baby's father, known to them as Jacobee Flowers. Morgan was wearing a white tank top, a pink furry hoodie and slippers at the time. The next day, her mother, Leah Martin, reported Morgan missing. Flowers was immediately a person of interest in the case but he denied any relationship with Morgan Martin at the time of her disappearance. He also denied that he was the father of her unborn child. Police say everything continued to point toward Flowers as the only person of interest. In an exclusive interview with ABC Action News in 2015, Flowers said "I feel like this is a situation where they need somebody to blame and right now I am that person to blame," speaking about the police. ABC Action News Exclusive from 2015: Jacobee Flowers talks about being a person of interest in Morgan Martin's disappearance. After several months of investigation and searches, Morgan was not found and the case grew cold. In March of 2015, the St. Pete PD's newly created Cold Case Unit started working the case again to solve it. Veteran Detective Jim Culberson was assigned as the lead investigator, and he was assisted by Detective Amanda Newton. The ATF assigned Intelligence Research Specialist Ned Dixon to assist the detectives. According to the news release, over the next 13 months, Cold Case detectives re-interviewed witnesses, located and spoke with new witnesses, re-examined evidence, collected new evidence, analyzed data, and sought the assistance of other law enforcement experts, as well as experts from other specialized fields.The detectives requested 21 subpoenas, 9 search warrants and 10 court orders as part of the investigation. 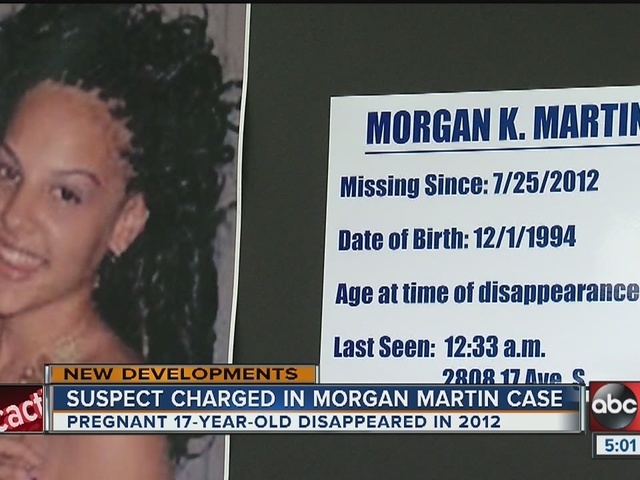 Detectives traveled extensively throughout Florida and to Alabama following leads in Morgan's disappearance. On Thursday, June 23, 2016, the Grand Jury returned an indictment charging Jacobee Flowers with the First Degree Murder of Morgan Martin. Police say Flowers is in custody of the DOC at Avon Park after being sentenced for unrelated felony traffic charges. He will be transported upon completion of his current sentence - sometime in July, to the Pinellas County Jail to face the murder charge. Detectives believe that there are other people who have information about Morgan Martin's disappearance and murder and they are appealing to them to contact them now. Police say they "are committed to locating Morgan's body, so that her family can have a proper funeral for her and her unborn baby." State Attorney Bernie McCabe and his team; Investigators Gary Gibson, Jim Quinlan, Bob Shock, and Assistant State Attorneys Greg Baird, Liz Jack, and Greg Groeger. The ATF - Intelligence Research Specialist Ned Dixon who was dedicated to Morgan's case, along with Supervisory Special Agent Mike Coade and Special Agent Pat Mahoney who provided ongoing investigative assistance. The FBI - Provided critical analytical and technical assistance in several areas. Special Agents Susan Dreiling & Victor Milanes (retired) of the Clearwater Office, as well as the Behavioral Analysis Unit & Forensic Audio, Video, and Image Analysis Unit at Quantico, along with the Cellular Analysis Survey Team. The Pinellas County Sheriff's Office - Forensic Sciences Units led by Manager Greg Mason and Major Stefanie Campbell, as well as Forensic Video Technician Jody Sotullo. Homicide Detective John Syers, and the Sheriff's Office Computer Forensics Unit with Detectives Mike Baute and Cory Diener. The Florida Department of Law Enforcement who provided electronic analysis and technical support. Agent Supervisor Sharon Feola and Crime Laboratory Analyst Connie Bell also assisted regularly.